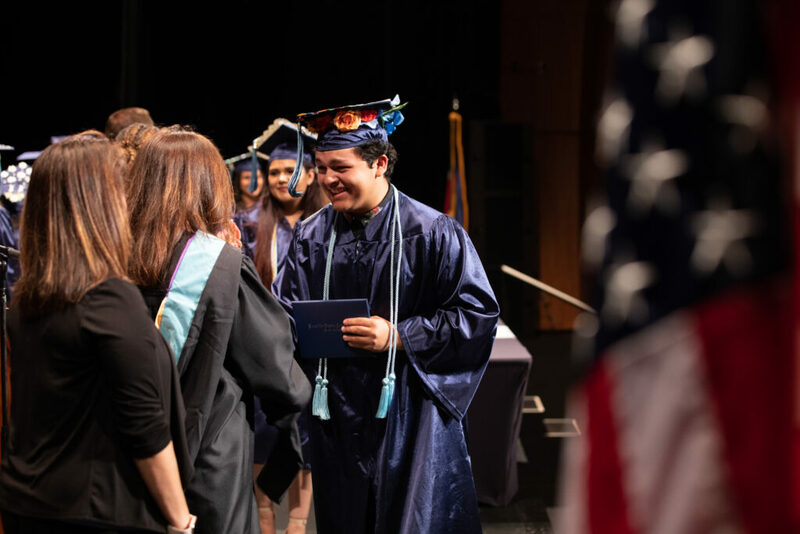 DPS is one of many districts implementing new graduation requirements to meet the statewide graduation guidelines approved by the Colorado Board of Education. Some students may need more time to complete the requirements and it is okay to stretch their path to graduation to a fifth or sixth year (up to age 21). By instilling high standards districtwide, our students will be challenged and inspired in their education journey to forge their own future toward a meaningful career. For more information or questions, talk to your guidance counselor or school leader. Our new graduation requirements mirror what is expected for our students to be successful in college, career training or the workplace. In Colorado, 53% of students in two-year colleges and 20% of students in four-year colleges have to take remedial courses, which are designed to catch up struggling students by helping them build core skills before they are able to take college-level courses. Not only does this mean a longer timeline toward degree completion, intensifying the potential for dropout, but it also means students incur additional tuition fees and debt. These factors contribute to only about half of Colorado students who enter public colleges actually earning their degrees. At DPS, we want to ensure our students can reach their full potential and don’t need to take remedial classes after they graduate. That’s why we have set new higher standards for graduation and are connecting our students with resources to ensure they are prepared for success in college and career. We believe high school is a foundational touchstone to the future, and postsecondary success is a top priority as our third goal under the Denver Plan 2020. More education is associated with both higher rates of employment and earning potential. Jobs that require training beyond high school are growing three times as fast as jobs that require only a high school diploma. By 2020, 74% of all Colorado jobs will require education beyond high school, such as college, trade school, an apprenticeship or military service.